The story of one man’s emotional healing and personal transformation through the power of yoga, meditation, writing, and faith. After a day moving to Hawaii and into a new apartment, I was on a hard wooden floor in pain. This led me to yoga in an attempt to fix my back. 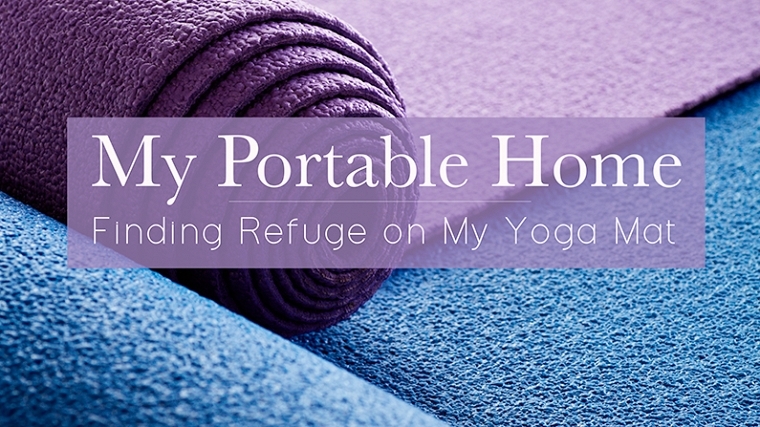 It was out of desperation, yet a few weeks later I found myself in a hot yogaroom. With no formal background — and very little knowledge of yoga — I went to a class searching for something to make me strong in my broken places. I hoped I wouldn’t collapse, but was also confident about the challenge before me. With no preparation or personal experience, I jumped in. My plan was to try yoga for thirty days. Then, I would evaluate how my back felt and decide if I should continue. I made it through twenty-four classes that month and found my will galvanized. My conclusion was clear: Yoga is the way to go for healing back pain. “It’s so simple,” I wrote, “why don’t more people do it?” Yoga worked, but the transformation goes deeper. I decided to keep attending and keep writing about it because I thought my practice in a heated room would benefit me in other ways too, and I was eager to discover them. But notes about yoga were not my only subject. I started writing on everything that came to me during that beautiful hour: I numbered the sessions, made notes about the teachers, chronicled my thoughts about the class and penned other insights. I looked around the yoga room and saw heroes. Heroes were bent and folded into all shapes and sizes and represented all nations. Each of them took on a unique shape just as yoga does in its expressions around the world. And while yoga has been around for a long time, it’s still new to many. Both the formation of heroes and answers to questions about yoga are in the early stages, and this ongoing face-lift is confusing to many. The bookstore I visit, with approximately 50-thousand books, demonstrated this by recently moving their yoga collection. Yoga books had been shelved in the section on metaphysics and spirituality; now they lean against books about anatomy, exercise, and weightlifting. For everyone – even librarians – it’s convenient to have a system of categorization. Librarians excel at categorizing, but I think yoga’s place on the shelves might be unclear to them. I have a vision of librarians questioning where to put the yoga books. I imagine them debating its classification: is yoga an esoteric and aesthetic spiritual discipline, an exercise science, a blended religion, or something else? The Year of the Monkey and Yoga’s Counter-cultural Mathematic (today in elephant journal). New Years’ Resolutions shot to hell? Pfffuf… so what. Yoga time means a reductive mathematic, a Gandhian core and a shamanistic strategy. That may mean taking a moment to swing through the trees. In my twenties, I was the leader of an eight-member music group that toured through India for four months. Landing in Bombay, we took the rail south to Trivandrum, where the Indian Ocean, Bay of Bengal, and Arabian Sea merge. Going north through Andhra, Madhya, and Uttar states, we passed through Agra and ended the tour in New Delhi. It was my first international trip and I felt challenged by new customs, food, language, and climate. To a student fresh out of college, India was a new and vibrant world I did not understand. Walking out of church one Easter Sunday, I saw an elderly man sitting on the church lawn near a busy sidewalk. He was practicing garurasana, eagle pose. Most people filed right past him as if he were invisible. I stared, and I thought he looked uncomfortable. That experience was 35 years before I began practicing yoga. I had no idea what he was doing. After leaving Delhi, my transition back to the U.S. was rapid, and I felt strangely affected by my travels. I seemed to be seeing things differently. When I went into stores, I found myself looking for things to which I’d grown accustomed in India, such as the blue-faced representation of Krishna adorning wall calendars. The quiet streets, typical of small town country living, was odd after I’d grown used to the shrieking sound of bus horns. In my music room, I replicated that dissonant and jarring pitch by simultaneously plucking my guitar’s E string on the eighth fret and the G string on the eleventh fret.